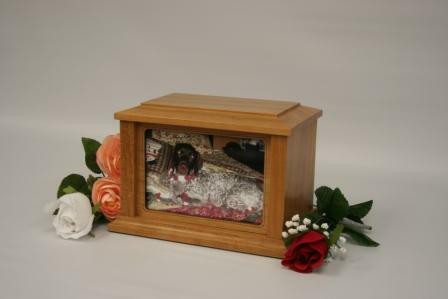 Photo frame wood urn available in oak, cherry and walnut. Photo frame wood urn available in oak, cherry and walnut. All woods have a clear finish showing natural wood color. Comes in three sizes. Small 30 cu in, Medium 70 cu in, and Large 120 cu in.